Those are in traditional business and still not yet do further changes, “either you change, or you die”. It is a bit crucial for this sentence, but if there are no further changes in your business transform to digital, soon your business will not able to sustain. Why SMEs need to embrace digital technology? As a business owner, we need to change the way we consume media, information & content and the way we communicate; apart from this, we need to change the business commerce landscape and the way we buy and sell. Especially consumers are now more information and tech-savvy, they know what they want, where they want it, when they want it and how they want it. Consumers are now very mobile, always stay connected, they look for the review and do sufficient research before they make the purchasing decision. Now, we facing disruption in a traditional business ecosystem and must create a new digital economy ecosystem. Do u know Malaysian replace their mobile every 21 month, more often than other devices? Apart from this, Malaysian consumers research online before they purchase. How can SMEs start their business digital transformation? Understand who is your target audience (correct Segmentation) and create an online presence to stay relevant, choose the relevant technology or platform as a business tools (example social media) to grow and accelerate the business & create Omnichannel business model to be constantly engaged with your customer and prospects. Businesses can leverage on online advertising, email marketing, search engine, social media, blog and as well as the free tools such as google for business to enhance their local presense and local search. What is an Omnichannel business model? Meaning that your business require to appear in multiple channel, such as online marketplace, ecommerce webstore, physical store, exibitions, events, good digital marketing, print marketing collaterals,socoal media engagement, especially word of mouth, news letter and others related model like customer loyalty program. As a conclution, digital technology has clearly changed the business landscape of today and will be continue to evolve and change. With the internet technology, we are now smarter consumer and consuming media and information via mobile device at wny time anywhere. Business need to embrace and invest into the digital technology far next fuel for growth and sustainility. 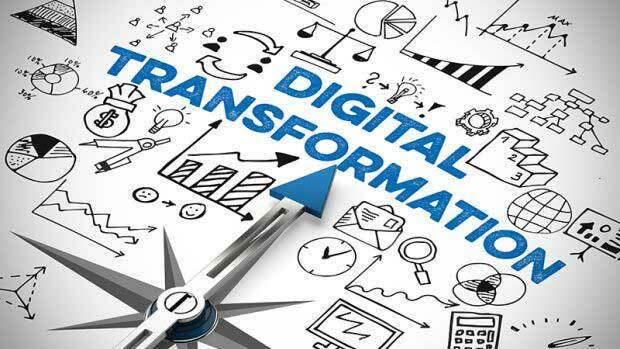 Hence, digital transformation is a must for traditional businesses, without transform, you will not able to sustain and grow your businesses.